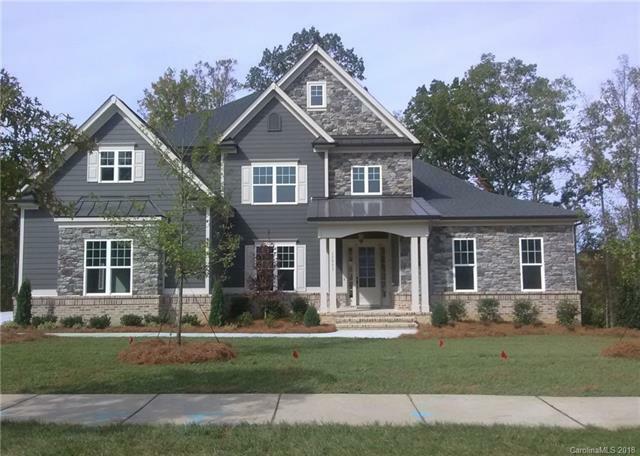 Beautiful transitional new home in River Run! Owner's suite on main level, with spacious owner's bathroom and two walk-in closets. 2 story Grand Room with built-ins surround fireplace. Library/study/home office also on main level. Kitchen features many windows and large island! It's open to Keeping Room and Breakfast area. Bonus room, 3 bedrooms and 3 baths on upper level. Huge rear covered porch with stone fireplace and 3 car garage. Wall of windows on rear showcases that the homesite backs up to public open space with trees. Lots of privacy! Please note Square Footage is based on plans and blue prints. Sold by Dale Robbins Realty Inc.